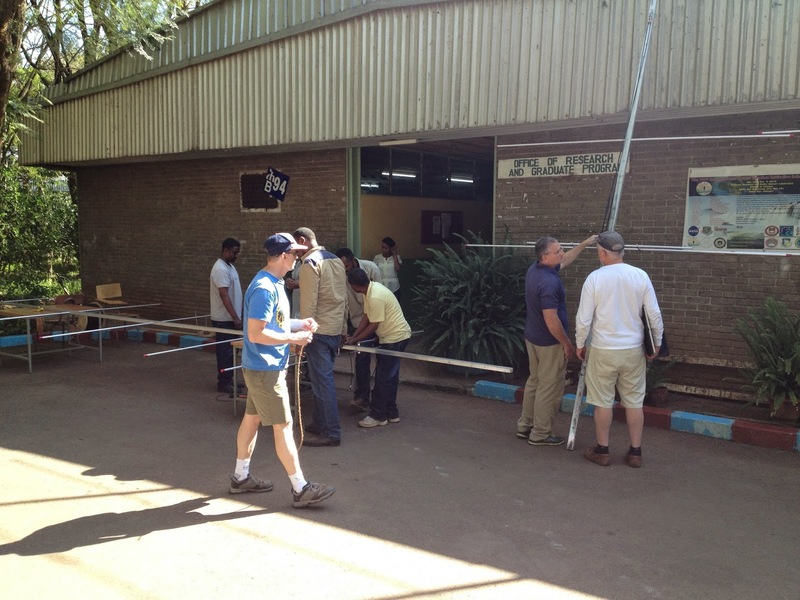 I am still in Bahir Dar, visiting BDU physics and math departments. Today, our US colleagues (from Boston College and Burns Industries Inc.) arrived and started the VHF coherent backscatter radar build. This radar will operate at 49.9 MHz, 16 kW solid-state transmitter. The system will have 64 antennas. 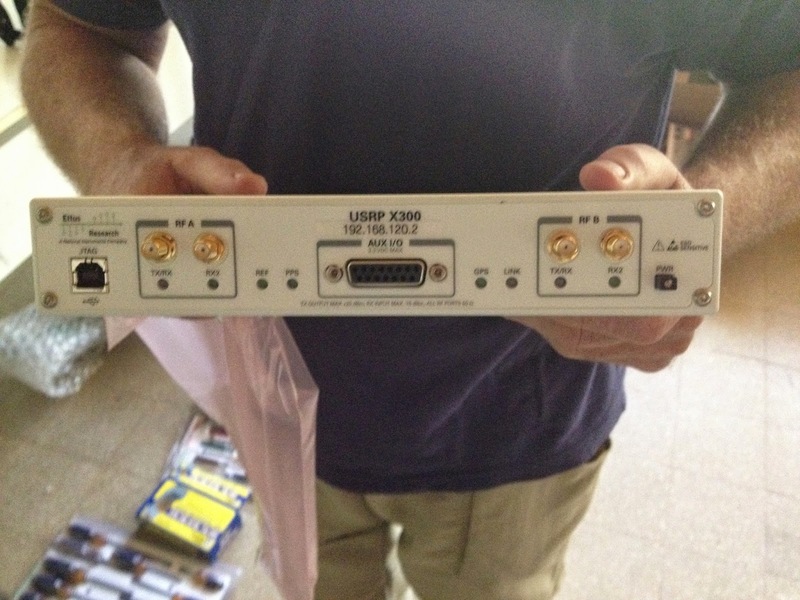 The sampling is based on a number of USRP X300-series boxes. Hence, today we feature photos from the Day 1 BDU radar build! Here's the future antenna field and control room. USRP X300 -- these are for sampling! ... and the build continues! 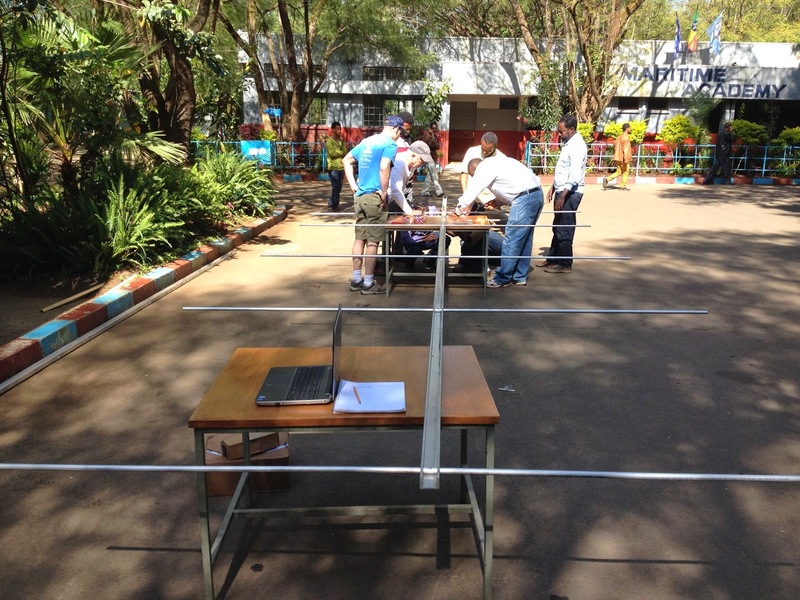 What Is purpose of the backscatter radar in Ethiopia. Is it a weather radar? Hi-any news? when does it starts????????? ?